Jeremiah Shingledecker almost always does one thing every season. 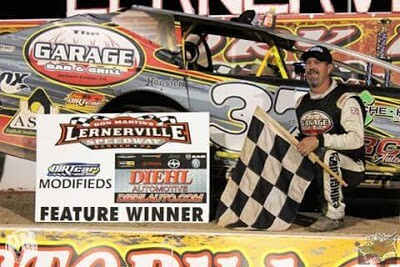 He finds victory at Lernerville at least once every year. But with the rain shortened season coming to and end, and no end to Mat Williamson’s grip on the weekly field in sight, it appeared this might be the year to see his personal streak come to an end. It would take a monumental effort, even with Williamson starting 10th on the field, to keep the points leader out of victory lane. And it was exactly what Shingledecker came up with on Friday night as he secured at least one feature victory for the 9th time in the past 10 seasons. Shingledecker and Michael Turner led the field to the green flag and Williamson wasted no time at all in making forward progress, gaining four positions on the opening lap. 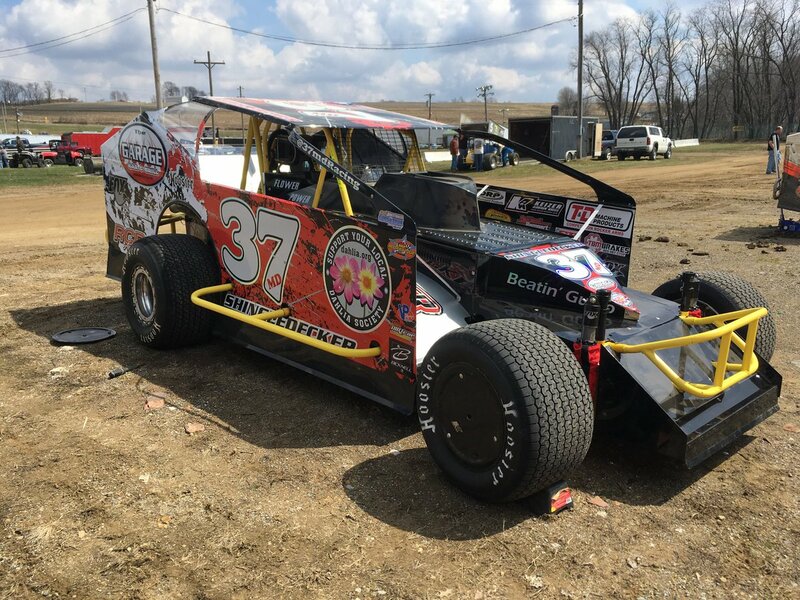 Two early cautions, one for Garrett Krummert who went off the top of the banking in turns three and four, and one for Colton Walters who spun in turn four, reset the field early in the 25 lap main event. On the second restart, Williamson made his way underneath Turner for the fourth spot while out front, Shingledecker, Brian Swartzlander and John Mollick separated themselves from the rest of the pack, creating a high speed freight train on the top side of the speedway in the early going. Williamson looked to be on the verge of watching his three race winning streak come to and end as he seemingly gained no ground on third running Mollick as the race crept up on the halfway mark and was in need of a caution. 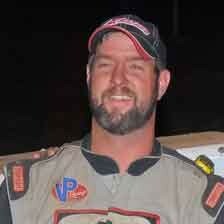 His hopes were answered with 11 laps down when Tom Glenn slowed on the speedway. On the restart, Williamson looked as if he had a new lease on life as he made up the center of a three wide battle for the lead with Shingledecker and Swartzlander. Shingledecker held on to the lead though and did not look like he had any intention of giving it up as he consistently found good bite and momentum coming out of turn two all race long. Meanwhile, Williamson was able to make his way around Swartzlander for the second spot and began to hunt Shingledecker for the lead as he lurked on the cushion, waiting for a mistake from the race leader to capitalize on. Mollick then began to take looks underneath Swartzlander for the third spot with 10 laps remaining. The battle for third allowed Shingledecker and Williamson to break away and make it a two car race. The leaders ran nose to tail, and then door to door on lap 18 as it appeared Williamson was making his way underneath Shingledecker in a bid for the lead. However, Shingledecker was able to power down the back stretch with authority and was able to stave off Williamson’s attempt. Williamson kept taking looks on the low side in the waning laps, but Shingledecker proved to be too strong to overcome on this night as he used two lapped cars to keep Williamson at bay while at the same time, hitting his marks at a near perfect rate as he crossed the finish line first while Brian Swartzlander rounded out the podium and Mollick, who looked impressive in only his third time in a Big Block Modified, came home fourth.